When the B&H Bar opened a few years ago, a marked a then-change in cocktail culture and turned the tide toward a fascination with speakeasies, gin, and vintage-England. It was a tastemaker, and has developed into a brand name with its sister bars (Reverend JW Simpson: Click HERE for Review!, and the B&H Buildings, Review HERE!) and its vintage and chap themed events from the Blitz Party to Belle Epoque. And for those years, this tiny, one-square-granny’s-living-room (complete with a distinct odour of damp) was a spot the Hoodooist would pop by for a last drink before heading home when in the area. However, the new menu has taken a Spring turn in not *quite* the best direction. Said direction has been the elimination of many of the drinks that stood out, and resulting homogenisation of flavours and ingredients – the new menu now boasts a numerous (easily 25 or more) cocktails, that seem to blend into each other instead of standing with independent personalities, and taste too similar to each other (whereas Rev JW Simpson did the opposite and developed a greater variety of flavours than before, the B&H Buildings provide a greater variety as well). 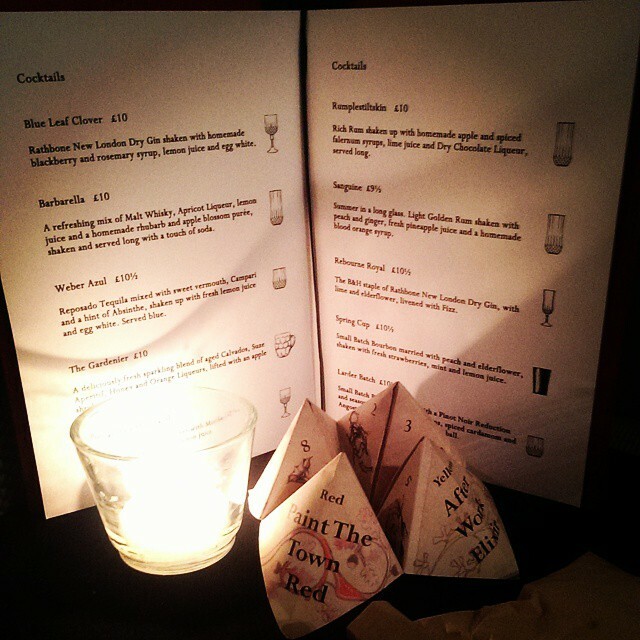 The new menu has a tendency towards being incredibly sweet (so perfect if you enjoy sweet! 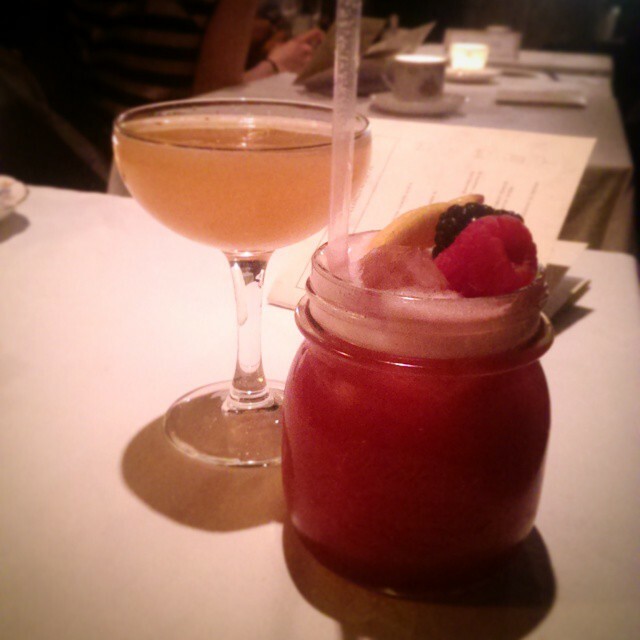 ), and an overbearing of berries and gin – so for the evening we tried our best to go for those that stood out. The then Cherry Sidecar has reverted to a slightly more classic Sidecar (Cognac, with marmalade instead of triple sec) in the Madame Elisa’s Breakfast – a drink that stood about a bit further from the others of the evening with the tartness of the marmalade – probably the most enjoyed of the evening in its simplicity. 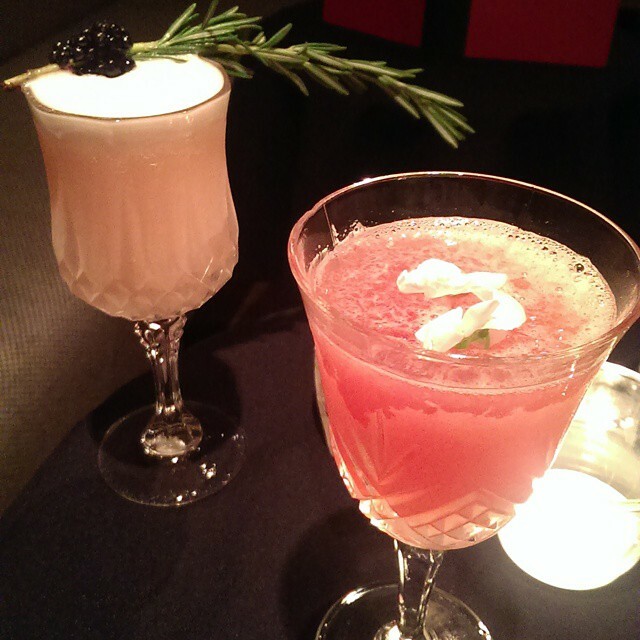 The Honey Berry Bison goes for Zubrowka vodka and berries, shaken with lemon juice, acacia honey and egg white. Berries range from rasp- to black- and the cocktail itself has a distinctly cinnamon flavour after the first few sips – but it doesn’t take away from the intense sweet berries of the cocktail. 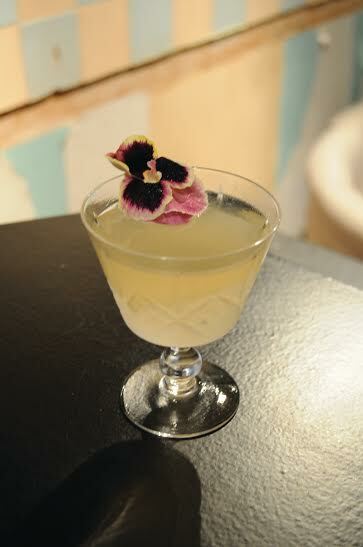 Tequila finally takes the stage in the Plum Plume: Reposado tequila shaken with lime juice, plum wine and bitters, topped with lemonade – but comes off without much flavour outside the plum wine and lemonade’s sweetness. But at least that went down better than the Black Jack – Bourbon with spiced honey whisky liqueur, seasonal fruits, mint infused sugar and lemon that was entirely too much to drink when it tastes like an iced glassful of watered down Jack Daniel’s Honey and berries. 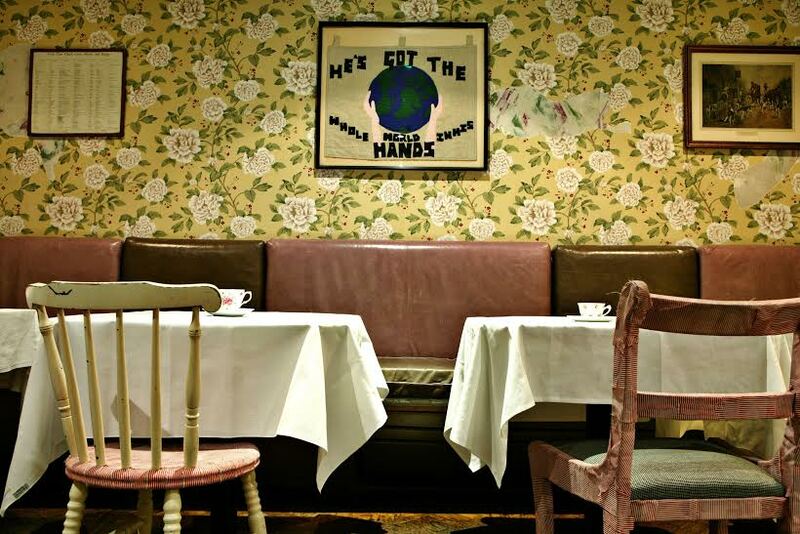 Service is good, even on days when the room is crowded, you can trust that someone will be served. 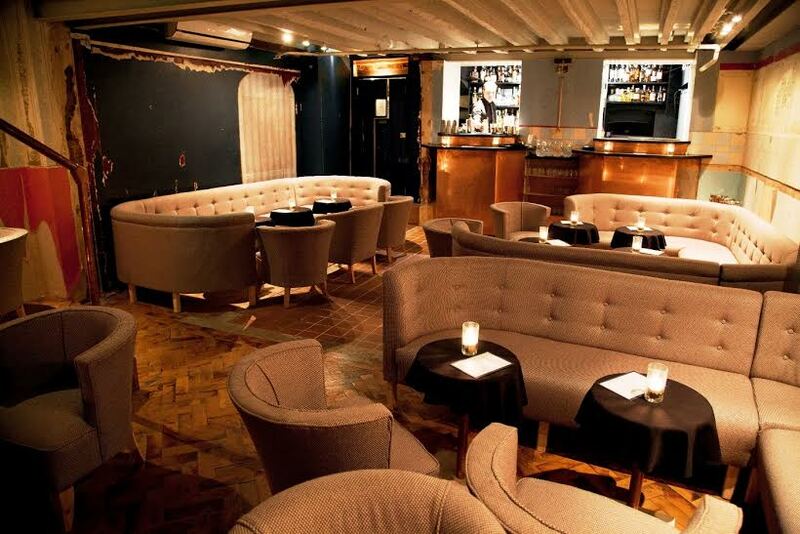 Often, there are free tables (especially weekdays) to walk-in, but for Saturday nights, a booking is recommended. 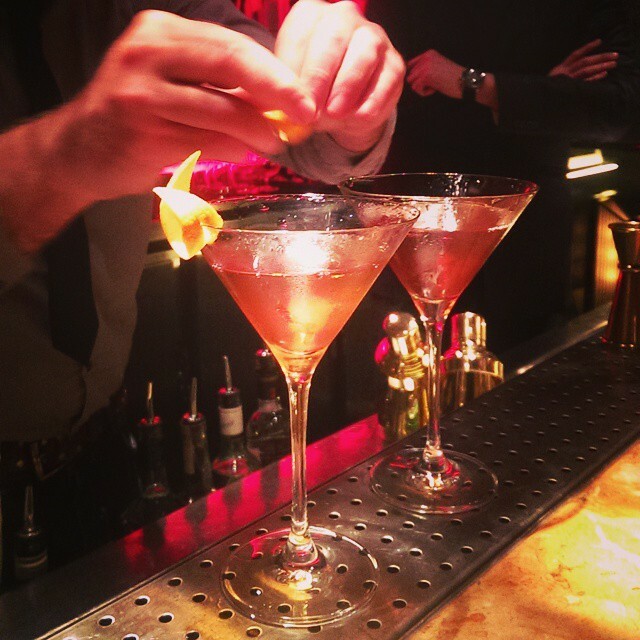 Normally quite chilled out and relaxed, event nights can get very crowded – so do check in advance. With other great bars like Rev JW and B&H Buildings in their roster, it won’t take long for a banging new menu to be on the cards, but for now, this spring/summer might have to wait. Okay. 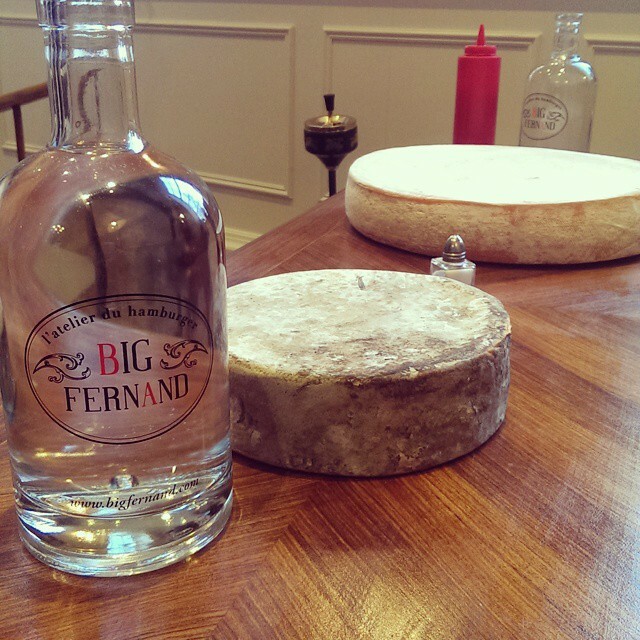 I really don’t want to tell anyone else how wonderful this Big Fernand is. 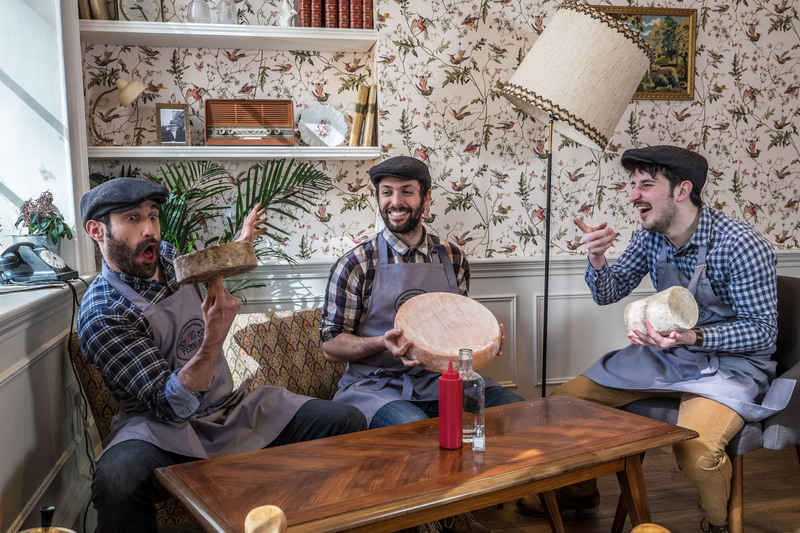 Crossing the channel, the Parisian burger venture brings with it a wonderful selection of French wines, cheeses, savoir faire – and let’s not forget, hamburgés. 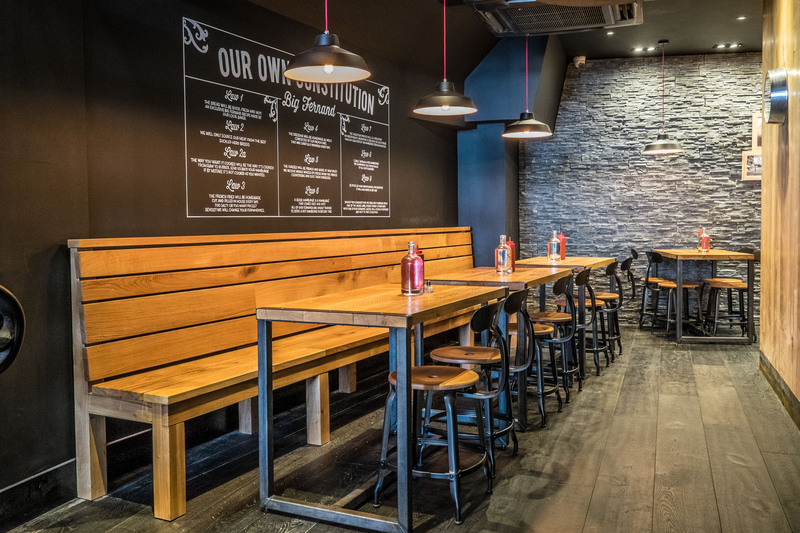 Downstairs, black is accented with wooden features down an aisle with its six-person burger assembly line from counter to server, decorated with classic French signage and exposed bulb lighting. 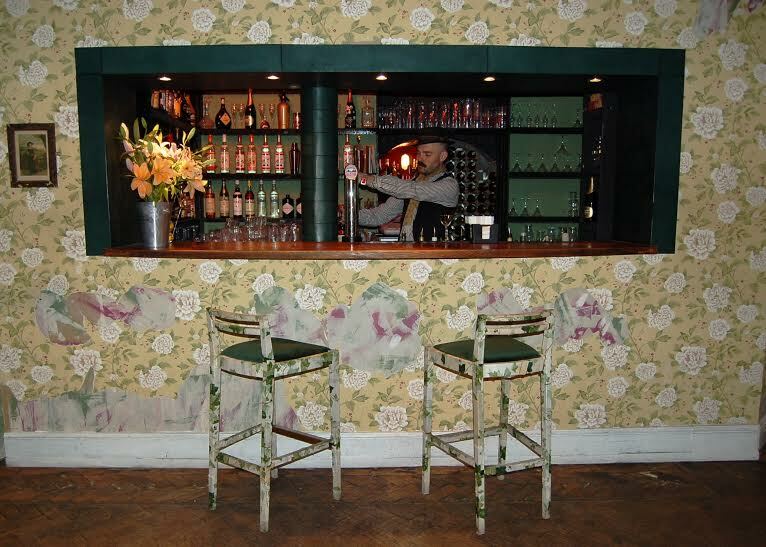 Upstairs, the Hoodooist’s dream studio, a floral dining room, with vintage portraits and focal point fireplace surround a dining table perfect for an event. I could move right in tomorrow if I could. With meat cooked all the way from blue rare to well done – and we mean French blue rare, no kidding around here – burgers utilise beef, veal, lamb, chicken and a vegetarian option. And other than the carefully constructed 6 on-menu choices, diners get a ‘build a burger’ option to design their own. With a selection of various sauces and several herbs, the cheeses make some of the most exciting choices from farmhouse goat cheese, herbal Tomme de Savoie, sweet blue Fourme d’Ambert to the quintessential oozy Raclette. Beginning with the slightly formidable Le Bartholomé, beef meets Raclette, bacon, carmelised onions, chives, and topped with home-made barbecue and cocktail sauce. A hefty beast, the Bartholomé came cooked to a medium-rare perfection, oozing with the softly-sweet Raclette and the sauces that seem to complement each other so surprisingly well – and with that subtle kick of the chives. The Bartholomé finds a way to take a classic, and stick to a classic formula, while twisting it with new flavours to give us a continental take on a gourmet bacon burger. 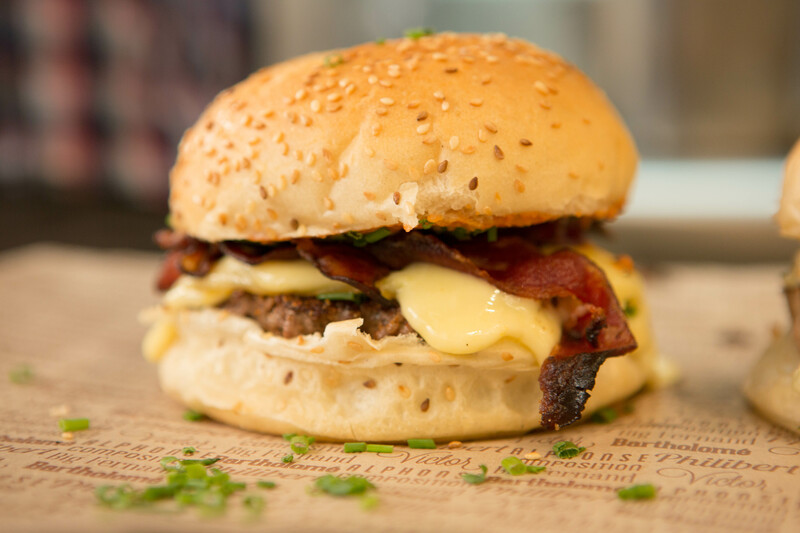 And because one wasn’t enough (even with a side of perfectly seasoned spiced fries) – Le Victor enters the arena, the rose veal topped with blue Fourme d’Ambert cheese, caramelised onions, coriander and home-made sweet mayonnaise. Corianderphobes do not panic – the herb doesn’t scream at you, but nudges lightly under the burger’s sweeter ingredients. An excellent approach to a veal burger (and that cheese!). And to go with the concluding cheese plates, the wines, supplied by Michel Chapoutier, included the house red Marius, and the Petite Ruche 2012. The Marius is a bold wine, a Grenache/Syrah, the nose is almost intimidating. The palate is powerful, a complex array of spiciness, berries and a certain darkness, balanced lightly by the floral Grenache. Not necessarily the Hoodooist’s favourite, especially when the beautiful Petite Ruche is on offer. The Petite Ruche 2012 is built to be served with meat. Unmistakably Rhone, chewy and dry with fabulous full body. A palate of ripe red berries and cassis, with overlaps of spice and pepper, and something drier, perhaps tobacco. Almost deceptively easy to drink, I can’t imagine dining here without a bottle of the Ruche on the table. Service is absolutely wonderful. Downstairs, the several Fernands walk you through the process on the assembly line where you collect your burgers, and upstairs, they make delightful hosts – your glasses are always full, and so are your bellies – chances are, you’ll go for a second hamburgé before the night’s out. I mean, how can you help yourself? 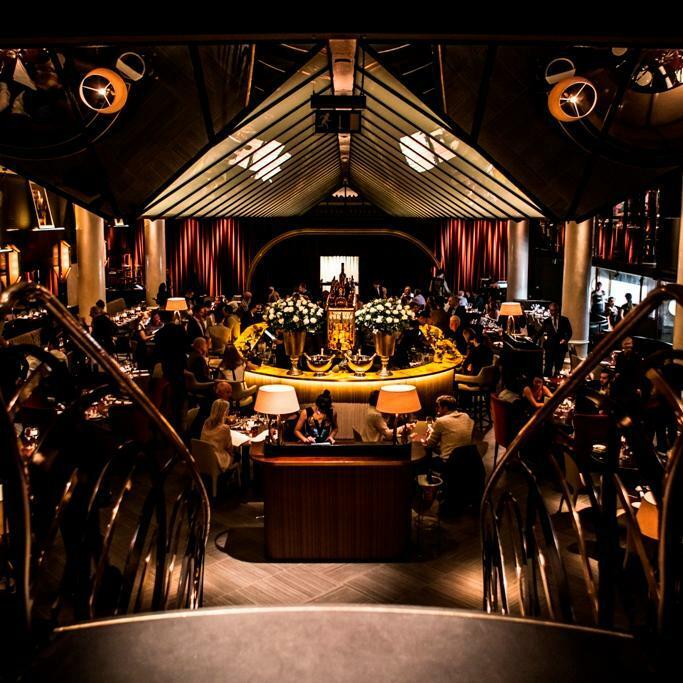 A 3.5million pound face-lift later, Quaglino’s has reinvented itself into the enormous, Fashion Week meets fin de siècle-stage and live music venue it is today. Compared to the airy, minimalist, marble and mirror affair it was before, the updated Quaglino’s has developed a rather cabaret style vibe with heavy drapes and dark walls – though it could be bit more cosy now, I’d want a table hushed away, since it does risk being slightly on the ‘oppressive side of plush’, if I communicate that idea correctly. Nonetheless, the bar upstairs is a vantage point over the main arena of the venue, and one way of avoiding the hustle and bustle downstairs. A dimly lit space, where your best bet is sitting up at the bar, where service from the team, Milos and Davide, is en pointe. Conversational, effervescent, and always up to help. 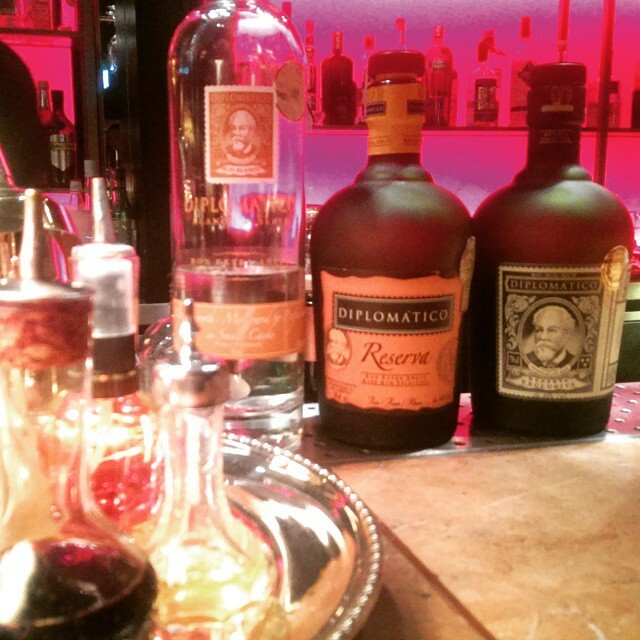 This day, Ambassador of Diplomatico Rum, Jon Lister, introduces three specials (at 7.50 each) added to Quaglino’s already lengthy cocktail menu – all using the rum range from Diplomatico, exhibiting their versatility. Beginning with a twist on a classic, the Final Word demonstrates that rums can indeed make excellent aperitifs – by substituting rum for gin in a ‘Last Word’. 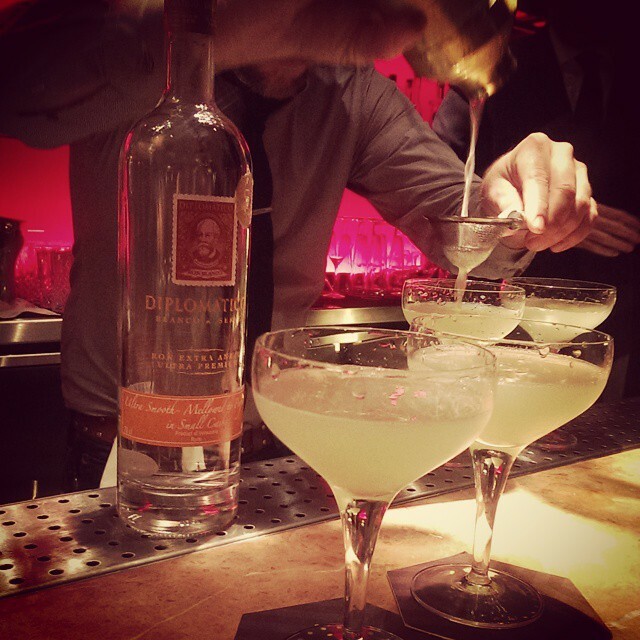 Diplomatico blanco, Green Chartreuse, St. Germain Elderflower and fresh citrus – is almost deceptively similar to a Last Word (going to show you how reliant on Chartreuse the cocktail actually is!). The rum, however, softens and sweetens the edges slightly, making it a fantastic introduction to those afraid of the sour and dry edges of many gin based aperitifs. The Final Word still keeps a bit of an edge with the peppery notes of the blanco, but its softer vanilla and sugar round out the cocktail for the drinker less accustomed to Last Words. 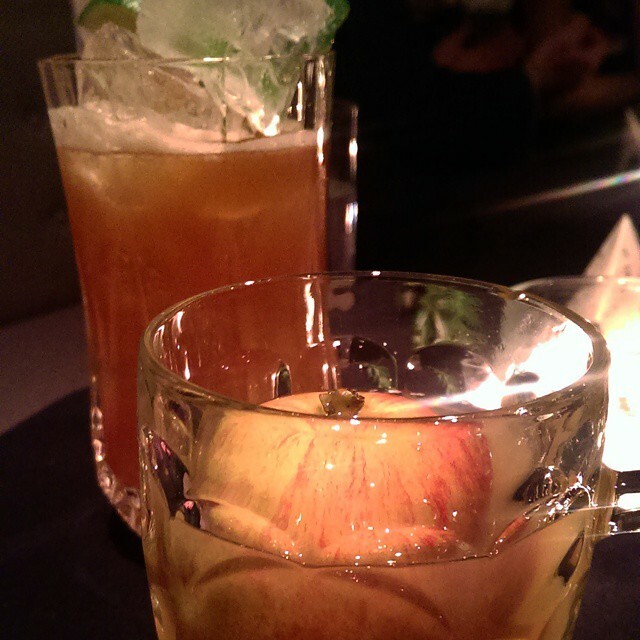 The Swanky Panky twists the classic Hanky Panky to rum as well. 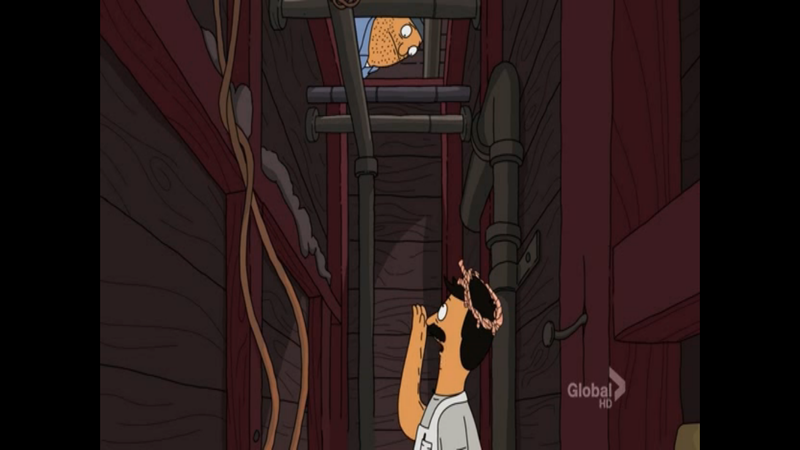 If Swanky Panky sounds oddly familiar, though – you’ve probably been watching too much of Bob’s Burgers. 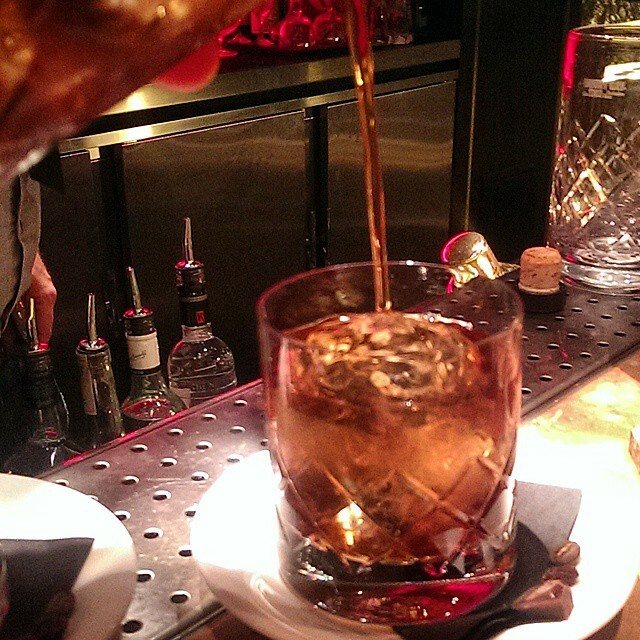 And it is indeed made with vermouth – Diplomatico Reserva, Cocchi Vermouth di Torino, and Fernet Branca. Whereas the Reserva makes an initial sugary appearance, it’s immediately subjugated by the Cocchi – orange peel and menthol suddenly dominate the cocktail, followed by the herbal and bitter flavours of gentian and quinine from the Fernet. This cocktail is nothing like what the Hoodooist expected it to be initially (smoother mouthfeel, slightly sweeter, less herbal), and instead takes a much sharper, minty flavour. Now this one is a bit more complex, a fantastic digestif, and the ‘hug goodbye’ of cocktails – the Diplomatico Old Fashioned gives us Diplomatico Reserva Exclusiva (both natural and infused with ground coffee), sweet sherry (Pedro Ximinez, if I’m correct), and Mozart chocolate bitters. One could easily replace dessert with this drink. Though sweet (very sweet), not sickly or overbearingly so. Though Mozart has a tendency to be rather pungent, it collaborates well in this drink, helping balance out the sweetness of the sherry and the Exclusiva, as does the bitterness of the Arabica. The vanilla, figs, and various mince-pie-esque notes of the rum are still very much present – really, this drink is dessert in a glass, covering all bases of the course, coffee and little glass of sherry. Wonderful, though its powerful flavours means it did take the Hoodooist a good half hour to take this one down. 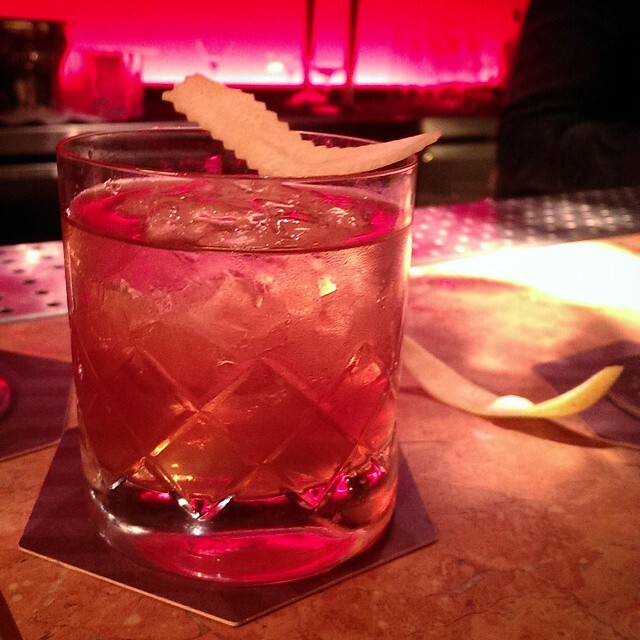 The regular cocktail menu at Quaglino’s is fairly long, and runs at about 12.50 GBP per drink – themed by the era of the cocktail’s release. The Fresh As a Daisy tastes exactly how you’d expect it to – Hendrick’s gin. Muddled cucumber, elderflower liqueur and apple juice – long, refreshing, simple, classic. 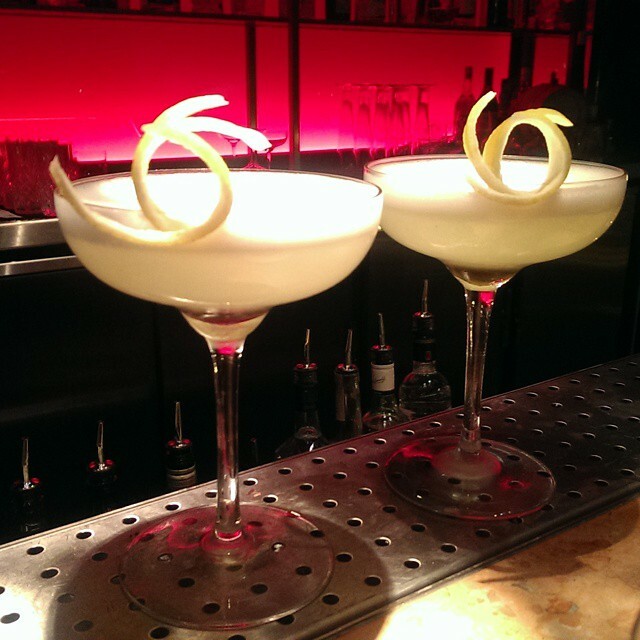 The RAF got bit of an update here, Botanist gin, Maraschino liqueur, lemon juice, egg white and violette liqueur – personally couldn’t stomach it, simultaneously too sour and too sweet, bit overwhelming. 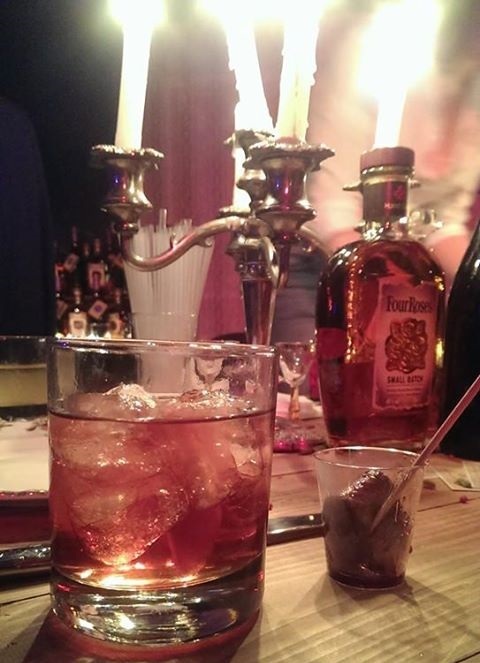 I suppose if you like your drinks very, very sweet, this is it. However, winner of the evening was easily the Fisherman – competitor in this year’s World Class Diageo cocktail competition. Talisker 10yr whisky, sage infused Cocchi Americano, a splash of Pedro Ximinez and bitters. Brilliant – absolutely wonderfully constructed. The nose is heavily leaning on the Talisker, smoky and thick, with an island beach salty touch. The drink keeps the Talisker’s intense spicy peat, with a long malty finish – smoothed out by the Cocchi Americano and its accompanying bitter quinine kick, all balanced out wonderfully with that touch of sherry for a sweeter overlay toward the end of the sip that coats the tongue. I suppose what you must keep in mind is that the cocktails on offer at Quaglino’s are massively varied (though they lean towards the sweet and many Sours), and with the wonderful service, will be willing to knock up any classics you need. Thinking of returning for a live band and another Fisherman!